San Diego-based chip maker Qualcomm Inc. revealed that it’s begun the process of cutting upwards of 1,500 jobs from its workforce, according to a Bloomberg report which cites people familiar with the ongoing development. Though a handful of positions will be eliminated from other locations, including some of the firm’s international offices, the majority of layoffs will reportedly affect Qualcomm’s California-based employees in San Diego and San Jose, according to the sources. 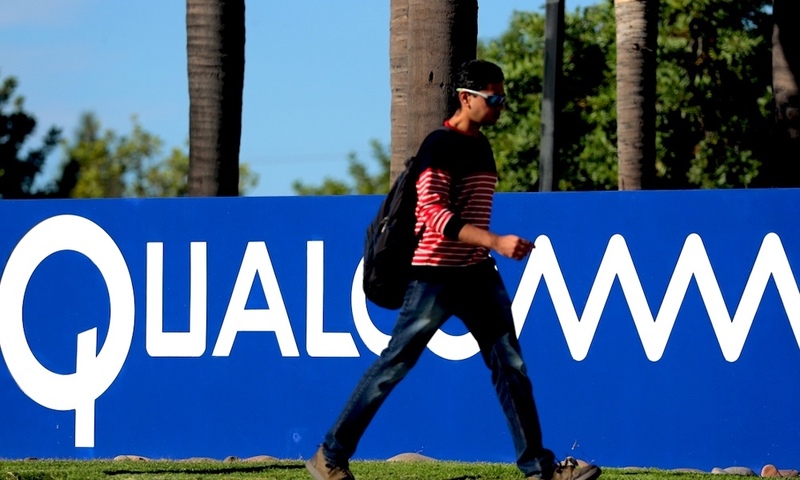 Qualcomm employs an estimated 34,000 full-time personnel globally, who work out of the firm’s 177 worldwide offices. “We first evaluated non-headcount expense reductions, but we concluded that a workforce reduction is needed to support long-term growth and success, which will ultimately benefit all our stakeholders,” a Qualcomm spokesperson said in an emailed statement to Bloomberg. The precise number of layoffs anticipated for each of Qualcomm’s offices wasn’t specified in today’s report, however they certainly wouldn’t be the first of the chip-maker’s large-scale workforce reductions. As Bloomberg notes, back in 2015, Qualcomm also laid off “thousands” of employees as part of an internal restructuring plan prompted by one of the company’s more outspoken investors. Within the coming days, Qualcomm is expected to file so-called Worker Adjustment and Retraining Notification (WARN) notices with the state of California, which are not only required when a company plans to layoff more than 50 employees in a single 30-day period, but should also give us more insight into the gravity of layoffs expected at each of the firm’s locations. While sources noted how the layoffs are a part of Qualcomm’s broader “workforce reduction plan,” which is aimed at reducing overhead costs by as much as $1 billion to meet a commitment pledged to its investors earlier this year, it’s also worth noting that job cuts are just the tip of the iceberg insofar as the chip-maker’s mounting expenses are pertinent. Qualcomm has weathered declining sales every year since as far as as 2015, Bloombergnotes, and the company is furthermore projected to absorb another three percent decline in sales during the remainder of fiscal 2018. Earlier this year, amid its ongoing legal saga with Apple Inc., Qualcomm was hedging its bets on a possible takeover attempt by its long-time rival, Broadcom — however an eleventh-hour injunction by the Donald Trump administration, citing a number of far-reaching national security concerns, ultimately caused that plan to fall through. There’s also the chip-maker’s legal battle with Apple, which has become increasingly more complex, costly, and damaging to the chip-maker’s business since it was first thrust into the legal arena back in early 2017.